This is one of my favorite Professional Golfers Association (PGA) portraits because I was allowed to illustrate Adam Scott with a serious expression. 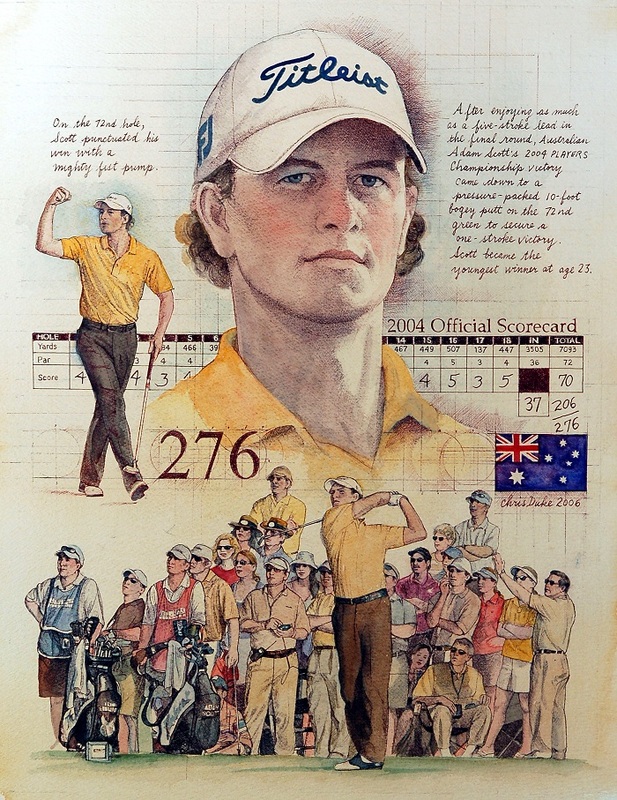 Adam Scott won THE PLAYERS in 2004 when he was twenty-three years old; he is still the golf tournament’s youngest winner. I love that Adam Scott has gone on to become one of the superstars of the sport, and that the sport has gone on to become so international. I always cheer for him, and enjoy his Australian style.